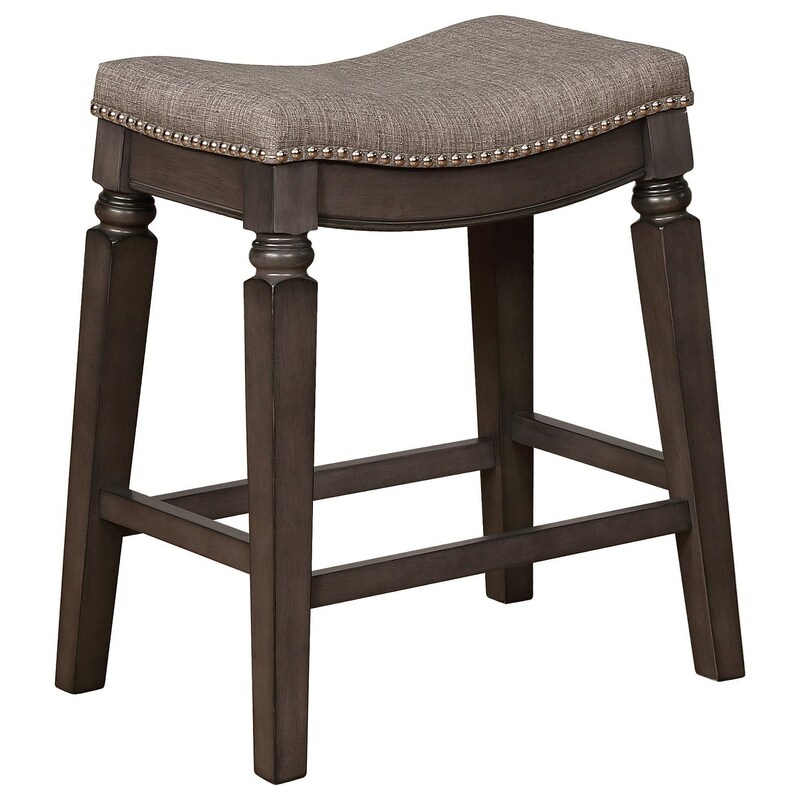 Create a dining space that will never go out of style with this transitional bar stool. This bar stool featured an upholstered and contoured seat for comfort while the turned legs and nailhead trim provide the right amount embellishment that your guests will appreciate. The Bar Stools CM Transitional Counter Height Bar Stool with Turned Legs by Crown Mark at Miskelly Furniture in the Jackson, Pearl, Madison, Ridgeland, Flowood Mississippi area. Product availability may vary. Contact us for the most current availability on this product.